When October begins, so does the celebration of one of my favourite holidays…Halloween! All you have to do is download this link and follow the steps based on your computer model, which I have included links to below as well. 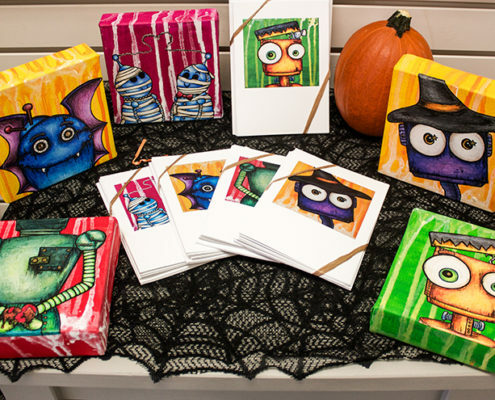 If you are interested in purchasing a set of halloween robot greeting cards, head on over to Under One Sun or Launch Gallery, both located in downtown Peterborough and pick up a pack. 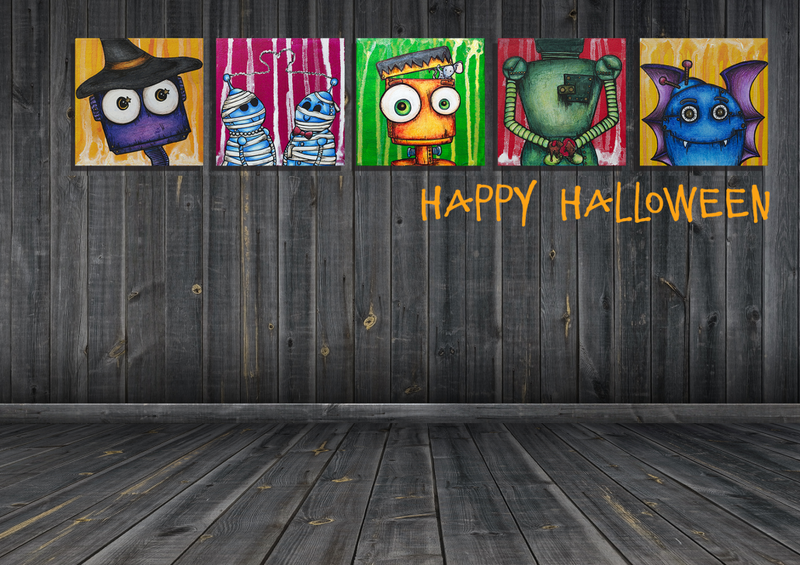 These cards are a fantastic way to send a halloween greeting to a friend or loved one and can also be framed for holiday decor.